Mobile gaming is a booming right now and “PUBG Mobile” has been one of the most successful titles in 2018. This battle-royale shooter has been downloaded over 100 million times and was recently named Google Play’s Best Game of 2018 and Fan Favorite Game of 2018! 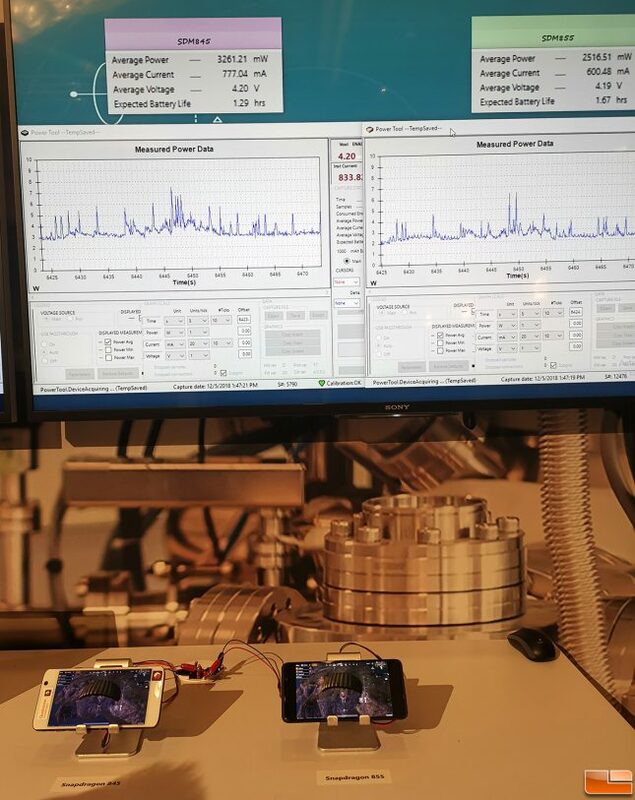 While we were checking out the demo room at the 3rd Annual Qualcomm Tech Summit we ran across a power demo that compared a Snapdragon 845 SoC powered smartphone to one powered by the new Snapdragon 855 SoC. The two phones were running the same game scene and power leads recorded just how much power was being used and the expected battery life for each phone. 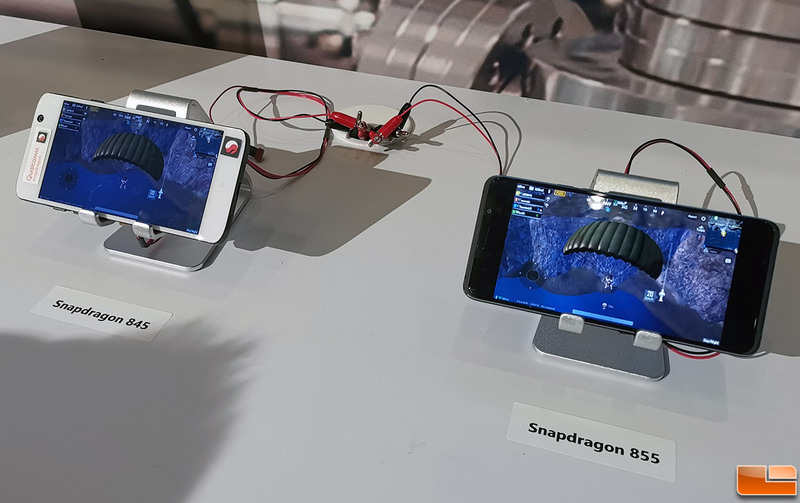 The Snapdragon 845 powered device was using on average 3.26W of power to play PUBG MOBILE, while the new Snapdragon 855 powered phone was averaging just 2.52 Watts of power. This is a around a 23% reduction in power from just one Snapdragon 800 generational change. 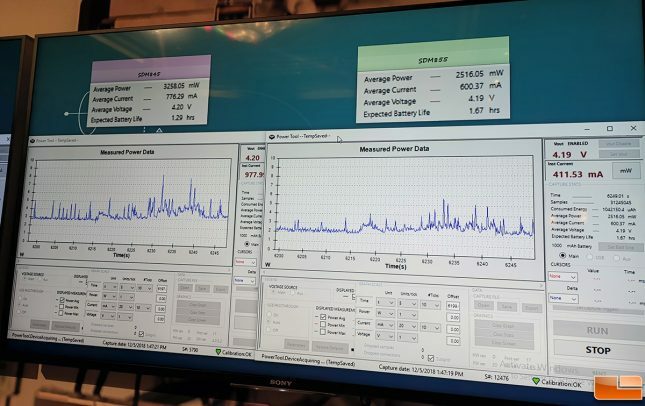 In terms of battery life, Qualcomm was showing that the on the Snapdragon 845 platform that you’d get around 1.29 hours versus 1.67 hours on Snapdragon 855. So, you’d get around 77.4 minutes of playing time on the Snapdragon 845 versus 100.2 minutes on the Snapdragon 855. That is an extra extra 22.8 minutes (or 29.5%) of gaming time and another chance to get a chicken dinner! This extra battery life is more impressive when you remember that Qualcomm says that they are also getting 45 percent faster processing performance from the Kryo 485 CPU and up to 20 percent faster graphics performance with the Adreno 640 GPU compared to the Snapdragon 845 chip. This demo did a great job at showing just how much more efficient the Snapdragon 855 is than the Snapdragon 845. Qualcomm is showing just how big of an improvement that they can deliver in just one generation. 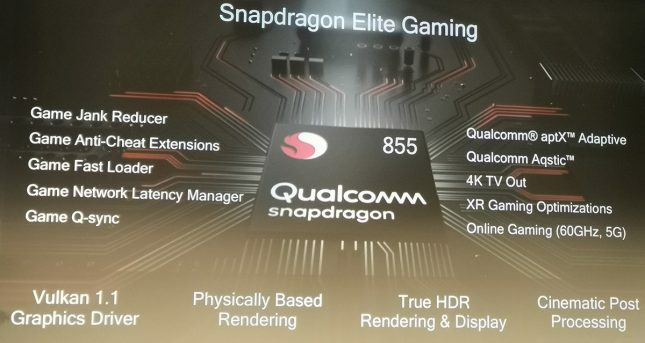 Qualcomm using the Snapdragon 855 platform to introduce its ‘Snapdragon Elite Gaming’ capabilities. The Qualcomm Snapdragon Elite Gaming program offers true HDR gaming with cinematic post processing color grading. It also introduces new physical-based rendering and Vulkan 1.1 support. Vulkan 1.1 allows for 20% lower power than OpenGL GS. What makes this demo so impressive is that PUBG Mobile is not using Vulkan 1.1. This power savings is due to generational design changes and of course the move to the 7nm manufacturing process. The Qualcomm Snapdragon 855 platform looks to be off to a good start for gamers and we can’t wait to see how retail smartphones perform!